Overview: While every language can express definiteness, indefiniteness and genericity, the morpho-syntactic encoding of these notions varies considerably. This workshop is part of a larger project that provides concrete diagnostics for determining the interpretation of noun phrases which lack overt markers of (in)definiteness. 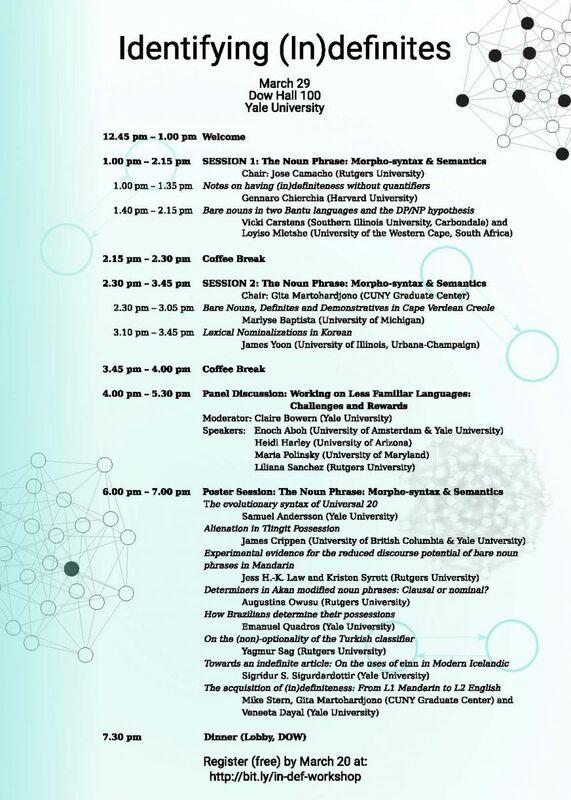 The connection between morpho-syntax and semantics is explored in six languages, Cape Verdean Creole, Hiaki, Korean, Quechua, Russian, and Xhosa. These investigations provide the empirical base for a restrictive theory of cross-linguistic variation.